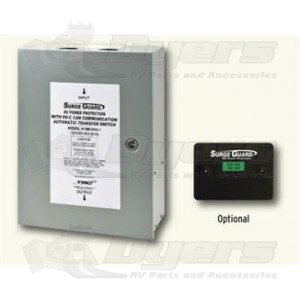 The RVC compatible Surge Guard Plus transfer switch provides premium protection for your motorhome. This model provides enhanced features over other transfer switches on the market. The unit continuously measures shore power and will switch to generator power when shore power electrical conditions are beyond limits. Higher joule ratings, increased contactor ratings and a remote monitor make this unit widely accepted in the market place.